Think carefully before you run out to purchase a security camera system. Just as with terrorist protection and thievery protection systems, home systems require you to plan out your system before you go shopping. Think carefully before you run out to your local electronics supplier and purchase a home security camera system. Just as with terrorist protection and thievery protection systems, home systems require you to plan out your system before you go shopping. The simplest systems are set up at the front door so you can see who is standing there when the doorbell rings. So your first decision is, should I include two-way audio along with the camera at my front door? Next you would ask, should I have the camera connected to a recording device or is the simple ability to view people enough? One entrance, one system and already there are questions that need to be addressed. For the simplest of home security cameras you can purchase a kit that would include the features you need. 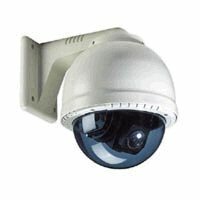 The next question you have to ask before you purchase a system is, do I want a home security camera at any other entrances or possible entrances to my home? There are systems that install a camera in your driveway or in your garage, wherever you normally park and exit from your car. Some of these offer motion detection on/off switches also connected to lighting systems so as soon as you drive up, the camera and lights all turn on simultaneously. You can be comforted by the thought that if anybody is lurking nearby to grab you or your car as you exit the vehicle, the automatic lighting system and visible camera will most likely scare them off the minute it turns on. Another factor to consider before you purchase a home security camera system is the power source. Where is the nearest power source for the cameras, monitors and switches you’ll need for the system to operate properly? There are battery-operated systems, but the maintenance involved in keeping the batteries fresh can be time consuming. Locate your nearest power source and compare it to the location or locations you need for your cameras and other equipment and build from there.